Here are my web apps followed by my Android apps, widgets, and games published on Google Play the official Android market so far. This area is currently under construction - there will be individual app details pages for some of the apps. 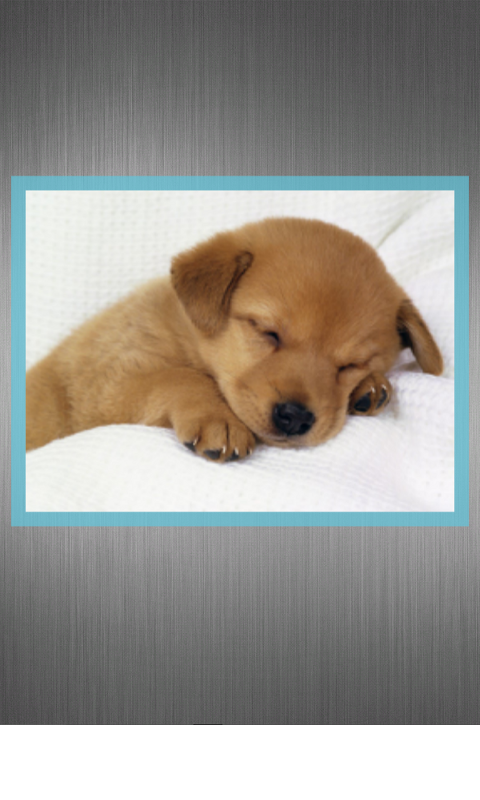 In the meantime, please check out their corresponding Google Play pages for more screenshots and app descriptions. Write colorful notes & memos with rich styles and organize with custom notebooks. 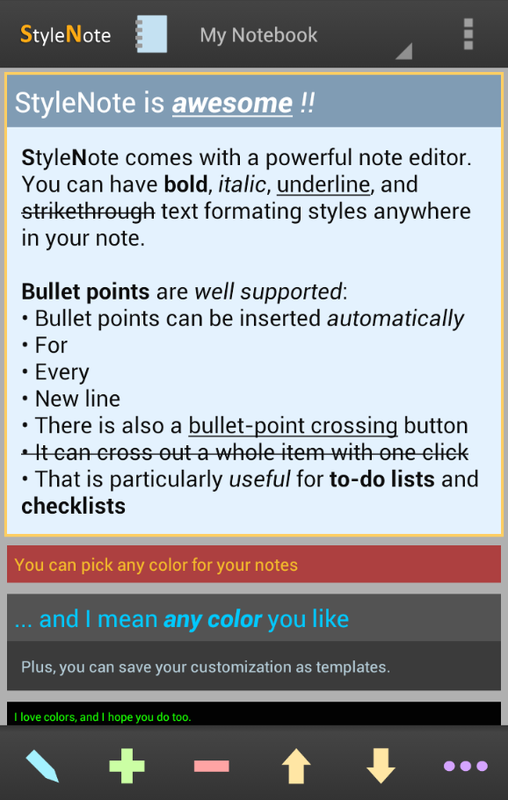 StyleNote features a note editor which supports rich text styles (bold, italic, underline, and strikethrough). 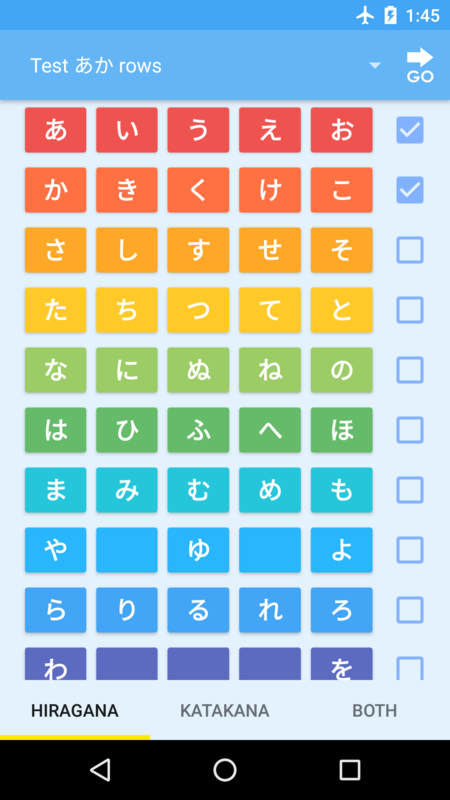 Note text sizes and colors are both highly customizable. In addition, you can place semi-transparent memo widgets on the home screen for your convenience. Before version 2.0, I spent a lot of effort to make StyleNote support all the Android devices (even Android 1.5!). 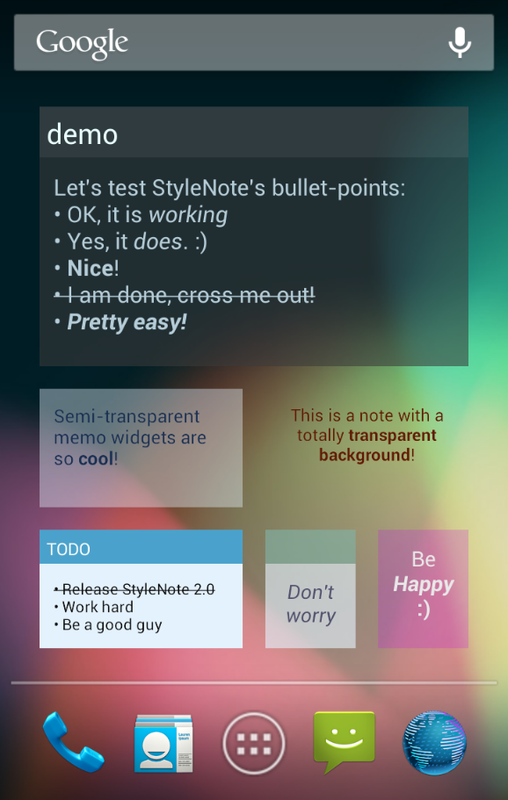 Now StyleNote 2.0 requires Android 2.1 or newer for some of the new functions. 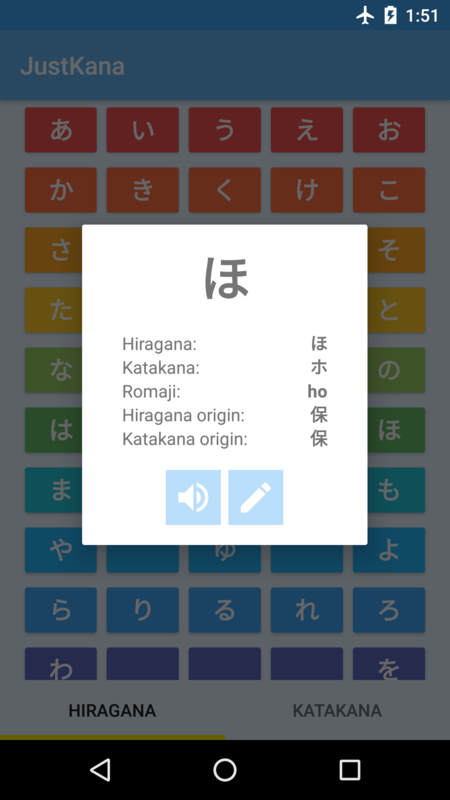 If you are still using Android 1.5/1.6, you may get the last version of StyleNote which supports your system here. A pixel art editor designed for... making pixel art! Features isometric tools. 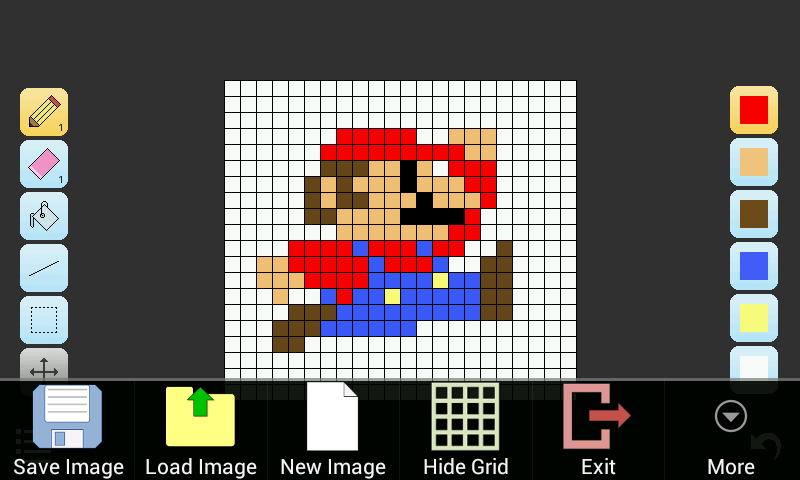 IsoPix has a good set of pixel art drawing tools and intuitive control. In particular, you can easily draw perfect isometric lines and rectangles with it. While I honestly don't consider myself as an artist at all, but IsoPix has been used by a number of real artists for their pixel art works. This is a very satisfying experience to me as the developer of the app. Some of the icons are generously donated by an artist user known as Pixel Geek. 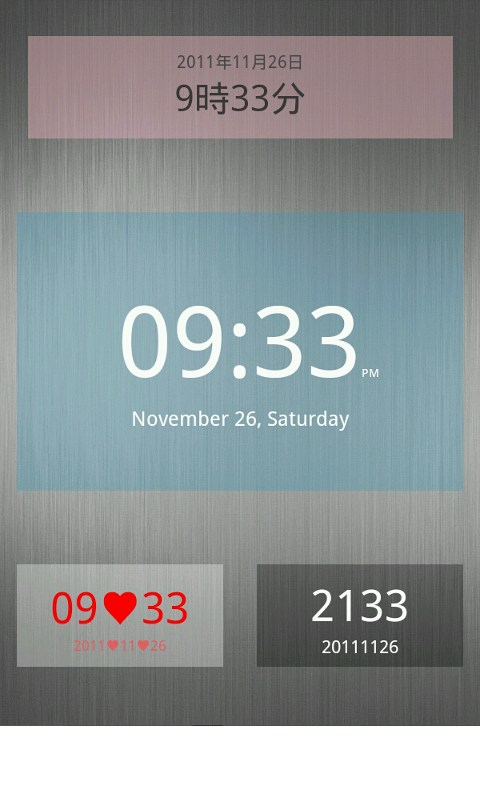 A simple yet customizable clock widget with colorful semi-transparent background. 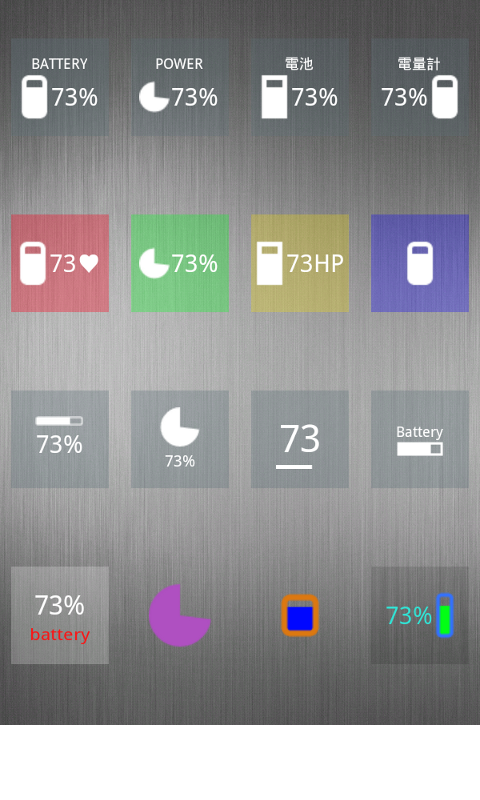 Being the second addition to the Nice Simple Widgets family, it has the same, if not more, customization power - you can even precisely change how the battery icon is drawn. 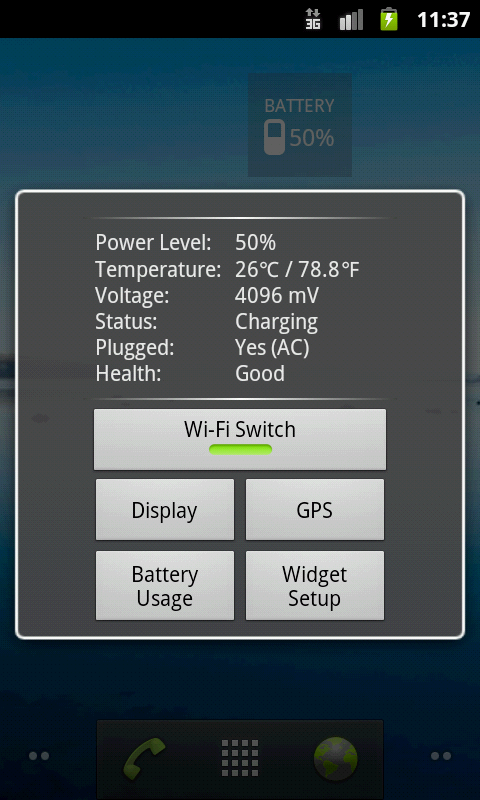 When it is clicked, a simple dialog will be shown which shows you the battery info with buttons that allow you to access some of the device settings easily. 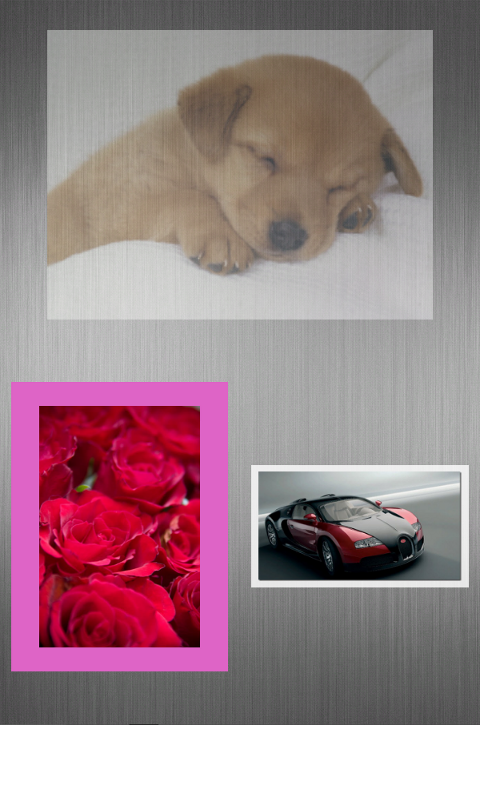 A photo widget that supports semi-transparency and colorful frame customization. 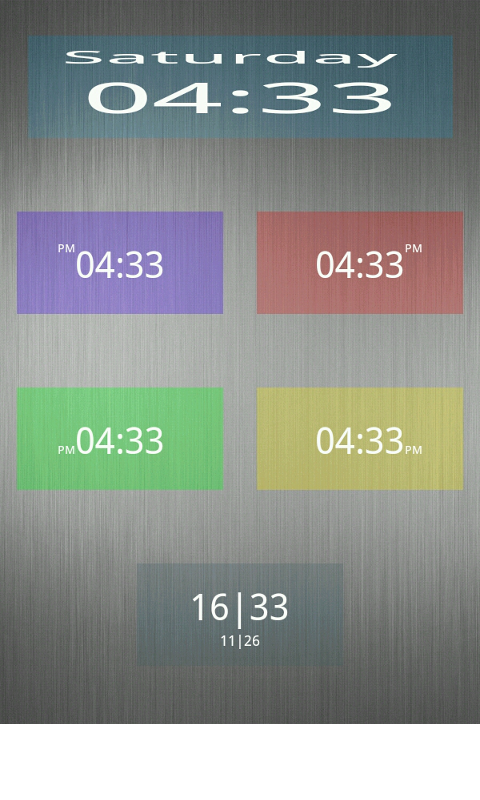 This is the latest addition to the Nice Simple Widgets family. When I wrote the widget there wasn't any photo widget on Google Play, which I was aware of, that can display photos semi-transparently on the home screen. I am not sure if there are others which support that feature nowadays, but Nice Simple Photo is probably the first one that does on the market. 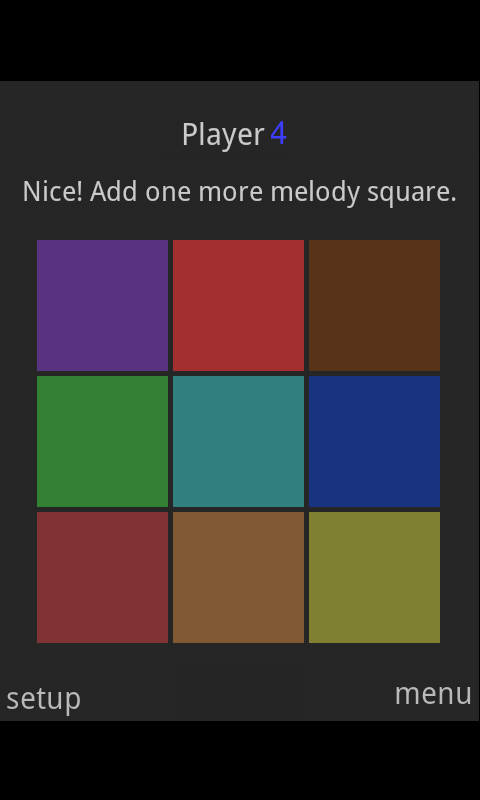 It is a game that trains your melody memory, and also a colorful keyboard that can simulate a lot of instruments. It is based on a good old classic game called Simon. 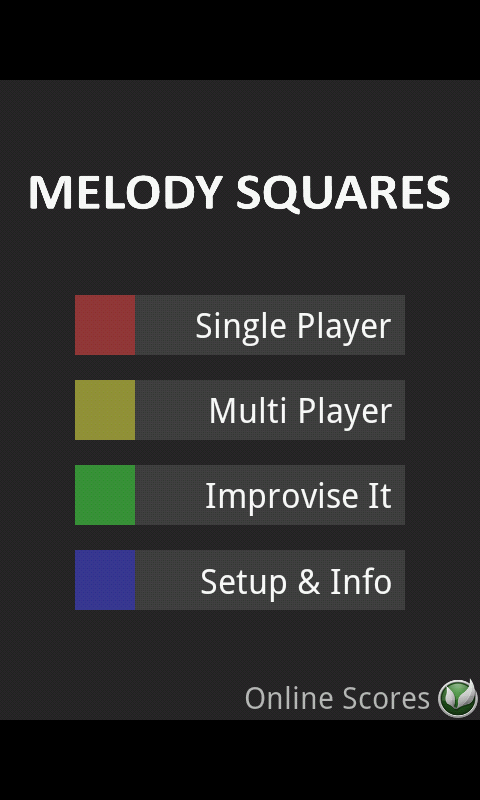 In Melody Squares, you can choose the board size and the instrument sounds being used. There is a local multi-player mode where you can compete with your friends on the same device to see who can memorize the longest melody. There is also a improvisation mode where you can just freely play your own music. 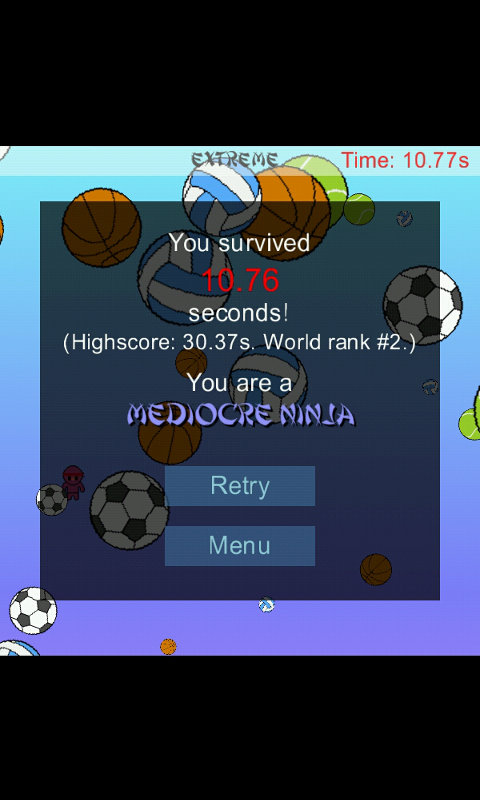 Ninja Dodge! was my first ever Android creation and I learned a lot in its development. 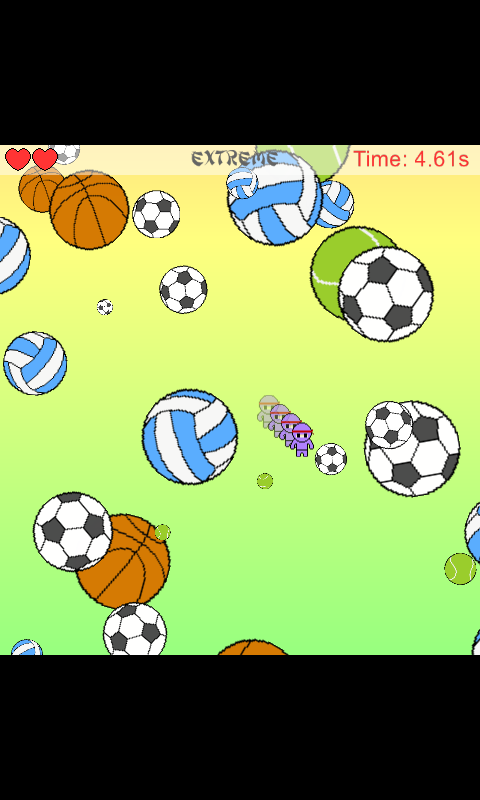 It was a mini game that trains your reflex by having you dodge balls of random sizes from all directions. It had an online leaderboard and an achievement system powered by OpenFeint which is now already shut down. The game is currently unpublished. Maybe one day I will revive it with better graphics and gameplay.